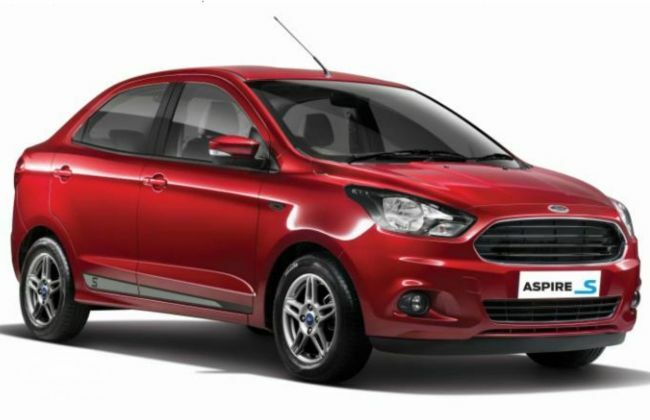 Ford has introduced the Sports Edition of its popular hatchback, the Figo and the compact sedan, the Aspire. The Sports Editions are the performance-oriented versions of the standard cars and are based on the Titanium variants. They are available in both petrol and diesel engines and feature various changes over the standard Titanium variant. Here are the prices of the Figo Sports Edition and the Aspire Sports Edition (ex-showroom Delhi). The Sports Edition comes at a premium of Rs 40,000 to Rs 50,000 over the standard Titanium variant. Now let's have a look at the changes these cars feature. The silver horizontal slats on the front grille have been replaced with an all-black honeycomb grille with black headlamp bezels. 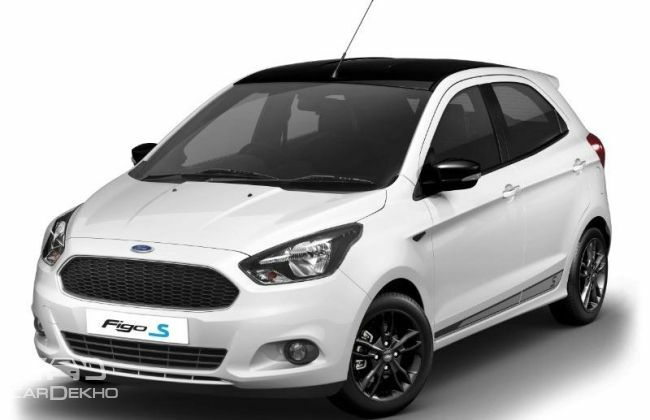 The Sports Edition Figo has a dual tone exterior with either a black or white roof and a black or white outside rearview mirros (ORVMs) depending on the colour chosen. It also features 15-inch black alloy wheels, a rear spoiler and decals on the rear and the side. 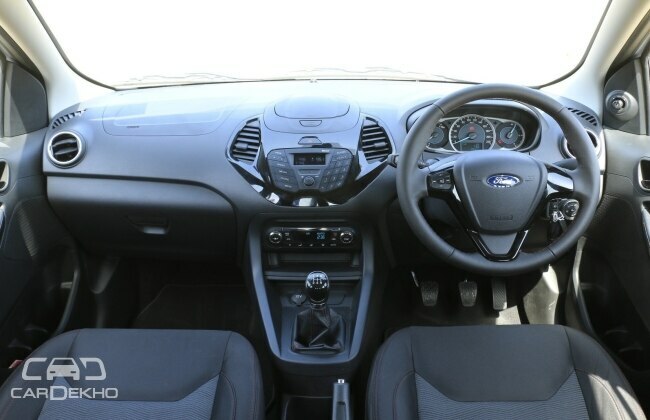 The Figo Sports has an all-black interior with black door handles and black steering wheel bezel. While the steering wheel is leather wrapped with red contrast stitching, the seats also have red stitching. Mechanically, it is almost similar to the standard Figo apart from the retuned suspension which should result in improved handling and better stability. It is powered by a 1.2-litre petrol engine which produces 88PS of peak power and 112Nm of max torque and a 1.5-litre diesel engine which churns out 100PS of max power and 215Nm of max torque. Both of them are coupled to a five-speed manual transmission. Similar to the Figo Sports Edition, the Aspire Sports Edition also has a retuned suspension setup. It is powered by the same engines as the Figo. However, the Aspire Sports Edition has various cosmetic changes. The front grille is all black along with black headlamp bezels. It also features 15-inch silver alloy wheels and decals on the and side and rear. It also features sporty black interiors and both the leather wrapped steering and seats with grey stitching. Both the Figo Sports Edition and the Aspire Sports Edition are only available with a manual transmission.